If you are stressed about the auto body needs of your car, 24/7 Collision Care is an expert AAA approved auto body shop proudly serving Glen Burnie, MD by its experienced auto body and collision repair services for decades from now. Our courteous technicians are ASE Certified professionals acquainted with every part of your vehicle be it domestic or foreign and trained with modern diagnostic equipments and techniques to complete all body work services as per industry standards. 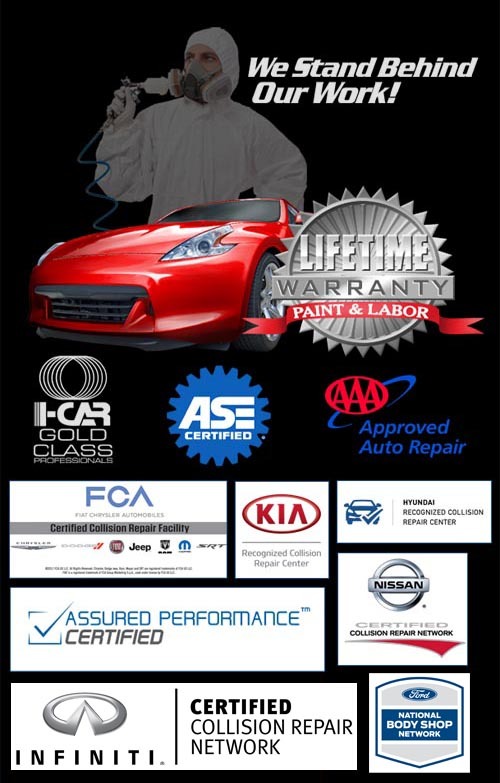 24/7 Collision Care is committed to take care of all your auto body concerns as fast as possible at affordable rates. We put our customers at high priority, satisfy all your queries and strive to make your vehicle appear and perform as if new. You can always count on us for services like car painting, dent removal, hail repair, scratch removal and vehicle towing for your family cars, fleet management companies, dealerships and more.